A small incidence from Arwahe Salasa , page 242. ( A book deaing with the life of Deobandi scholars).
" One day after Fajr Salah mawalana Rafeeuddeen saheb (rh) invited Mawalana Mahmoodul Hasan saheb in his room( Inside darul uloom deoband). Mawlana (Mahmoodul Hasan) arrived and opened the door and entered inside . It was severe winter at that time. Mawalana Rafeeudeen saheb told him to first examine his overcoat. When Mawalana (Mahmoodul Hasan) saw this over coat it was wet. Mawlana Rafeeudeen told him that just now Mawalana Nanatwee visited with his physical body ( JASADE UNSAREE) and I was frightened so my overcoat became wet (due to sweating). Mawalana Nanatvee ordered that Mahmood Hasan should not indulge in this internal fight going on among the teachers of Deoband. 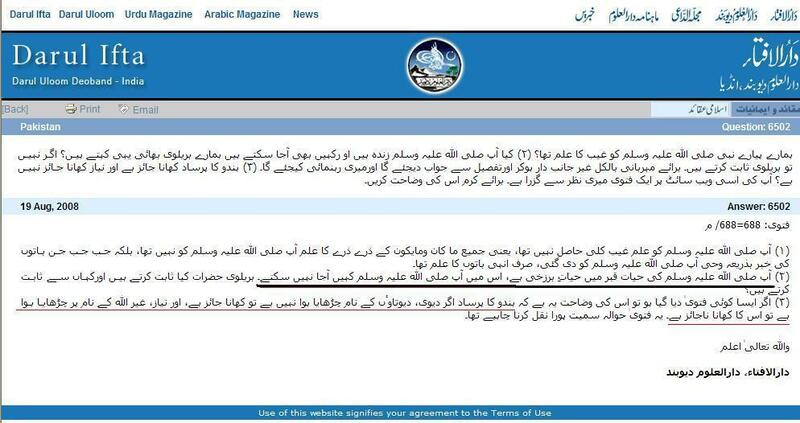 Mawalana Mahmood Hasan said "Hazrat I repent ( do tawbah on your hands) and I will not speak anything after this, in this on going internal fight"
Here Mawalana Qasim Nanatvee can come after his death and that too in physical form, just to resolve the fight in Deoband. 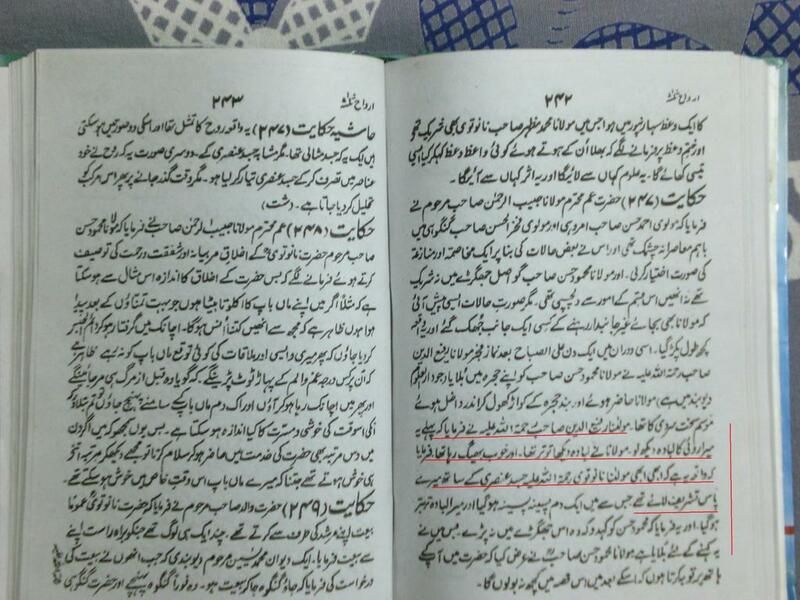 Read here how dead grand father of Shaykh Ashraf Ali Thanvi al deobandi used to come to meet his wife with sweets! Grand Father of Shaykh Thanvi!! The life of prophet sal allahu alaihi wa sallam in grave, is Hayate Barzakhi” ( Life in Brazakh) , in this life he ( sal allahu alaihi wa sallam) cannot travel ( from one place to another). !